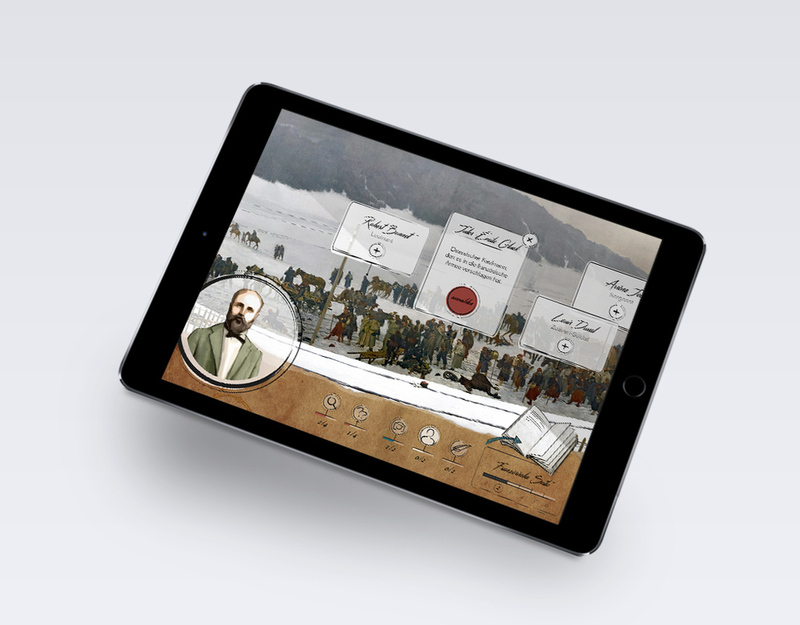 "INTERACTIVE EXPERIENCE FOR SCHOOLS AND YOUTHS"
„My Bourbaki Panorama“ is an app for tablets that provides an interactive program in which the visitors have the possibility to get to know the figures and personalities shown in the painting. Through the app the history behind the painting can be experienced individually. The app is made particulary for Schools and youths and should motivate them to learn more about values such as humanity, tolerance and the meaning of human rights. „My Bourbaki Panorama“ is a new way of knowledge transfer in the world of museums and is unique in its form in the German-speaking world. The app has been developed by the Lucerne College of Education (PH Lucerne) in collaboration with DOCMINE.